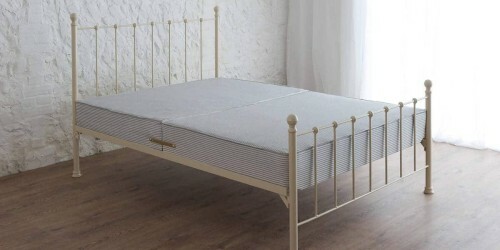 Single Bed With Trundles | Trundle Beds | Wrought Iron & Brass Beds Co.
Our trundle bed is a great way, to quickly change up your sleeping arrangements. Designed to be stowed under a single or 4ft wrought iron bed. Our trundles come with comforting, shallow, open coil mattress. Perfect for children bedrooms, if they have friends come to stay. Our trundles can be used on the floor or along side your current bed, by simply pulling out the supportive legs.